Encaustic painting originated in ancient Greece. The expression “encaustic” derives from the word Enkaustikos which means to process with heat and literally means “burning in”. This paint medium was at the time made with beeswax, the oldest known paint binder, and it is the same technique that Alexandre Masino uses today. Encaustic painting is the most durable paint medium, as evidenced by the Fayum portraits which have survived over 2000 years without cracking, flaking or fading. 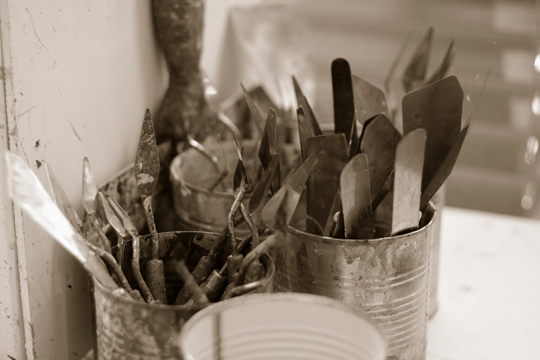 Encaustic paints are durable because their main component is beeswax. This wax has several inherent qualities that allow it to withstand the test of time: it is moisture resistant, mildew and fungus resistant, and indigestible to insects. Alexandre Masino’s paintings do not contain linseed oil, which could darken with age, or poppy oil, which can crack over time. Ultimately, encaustic paintings have survived the ages because their paint film successfully seals out moisture, acids, dirt, and atmospheric gases. Encaustic paintings are not varnished. The wax binder protects the pigments against moisture and atmospheric impurities. Encaustic paintings should not be exposed to extreme temperatures; freezing may cause them to crack and extreme heat may soften or even melt the paint surface. This particularity causes no problem whatsoever, except in some ruthless transport conditions. Therefore it is necessary, when moving encaustic works, to protect them against freezing cold which could harden the wax and prevent it from following the small movement of the panel causing the wax to crack. It is also necessary to avoid extreme heat which could melt the wax and damage the work. Oxydation of the paint surface may occur with time. This is called "blooming" and it is a perfectly normal and harmless for the painting. If one of your encaustic painting loses its shine or gets covered in a milky fog in the dark colors, the only thing to do is to buff it with a soft and clean shoe brush. The use of such a brush allows you to get deep within the textures of the encaustic medium and to reach all the surface. A clean soft rag can also be used. The bright side of all of this is that many of the general problems in the conservation of oil and tempera paintings, such as yellowing, embrittlement, and gradual oxidizing of drying oils, do not exist in encaustic paintings. If they are suitably protected against careless treatment, they will remain unchanged for many centuries to come. The process itself is very simple yet difficult to master. Dry pigments are added to melted beeswax in which we mix Damar resin, then it is applied to a hard surface. A flexible support such as canvas can not be used with beeswax since the medium would crack, not having the flexibility to follow the canvas movement. The painted surface being cooler than the applied wax causes the brush stroke to "freeze" as quickly as it is applied. Therefore, the artist most develop a specific approach, different than with any other medium, having to reheat the painted area in order to adjust his mark making. Heat must be applied between paint layers in order to make sure that all the layers are melted together creating a solid block of wax that is mechanically bond to the panel. In order to finish a piece, the final stage is "burning in" which consists of passing a heat source over the entire surface to make sure that the different layers of wax are fused together and bond to the support. The surface may then be polished with a soft shoe brush enhancing its gloss. This method is the "classic way", yet today there are numerous other working approaches as well as many different waxes used such as microcrystaline. Over the last 50 years, encaustic has gained popularity as a creative alternative to oil and acrylic paints. What has particularly attracted painters, whatever style they are using, is the spontaneity and variety with which it can be used. Encaustic paint cools instantly, which means additional layers can be added immediately. Once the surface has cooled, the paint has reached a permanent finish. But the painting can also be revisited and reworked at any time whether seconds or years later. Encaustic has exquisite visual properties and is the most durable of all artists’ paints. Over time, it will retain all the freshness of a newly finished work. Excerpts from “The Artist’s Handbook of materials and techniques” by Ralph Mayer, Viking, Penguin Books USA, New York, 1991 (Fifth Edition). "Encaustic painting was practiced by Greek artists as far back as the 5th century B. C. Most of our knowledge of this early use comes from the Roman historian Pliny the Elder, who wrote in the 1st century A. D.. Pliny seems to have had very little direct knowledge about studio methods, so his account of techniques and materials is sketchy. According to Pliny, encaustic was used in a variety of applications: the painting of portraits and scenes of mythology on panels, the coloring of marble and terra cotta, and work on ivory (probably the tinting of incised lines). 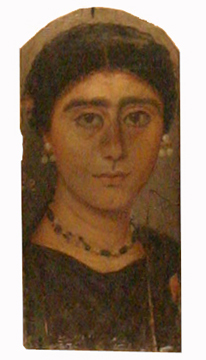 Perhaps the best known of all encaustic work are the Fayum funeral portraits painted in the 1st and 2nd centuries A.D. by Greek painters in Egypt. A significant Greek population had settled in Egypt following its conquest by Alexander, eventually adopting the customs of the Egyptians. This included mummifying their dead. 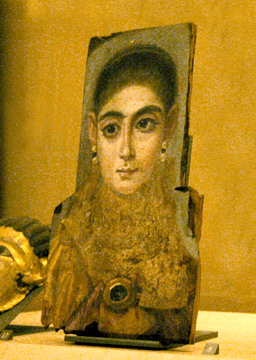 A portrait of the deceased, painted either in the prime of life or after death, was placed over the person's mummy as a memorial. Many of these pieces have survived to our own time, and their color has remained as fresh as any recently completed work. In the 20th century, the availability of portable electric heating implements and the variety of tools has made encaustic a far less formidable technique. This factor has created a resurgence of encaustic painting, and it is once again taking its place as a major artists' medium. Its effects, its visual and physical properties, and its range of textural and color possibilities make it eminently suitable for use in several different contemporary styles of painting that are not adequately served by our traditional oil-painting process." 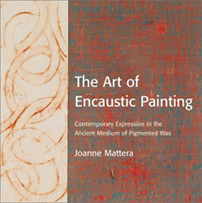 For additionnal technical information and all the “How to” questions, Alexandre Masino strongly suggests to refer to Joanne Mattera’s book “The Art of Encaustic Painting, Contemporary Expression in the Ancient Medium of Pigmented Wax”, Watson-Goupil Publications, 2001, which can easily be purchased in different art stores and through Amazon. For more information, please visit Joanne Mattera’s web site. Ralph Mayer’s book “The Artist’s Handbook of materials and techniques”, Viking, Penguin Books USA, New York, 1991 (Fifth Edition) is also a great reference source for all painting techniques. The International Encaustic Conference in Massachusetts is an ideal place to follow workshops and learn new techniques regarding encaustic. 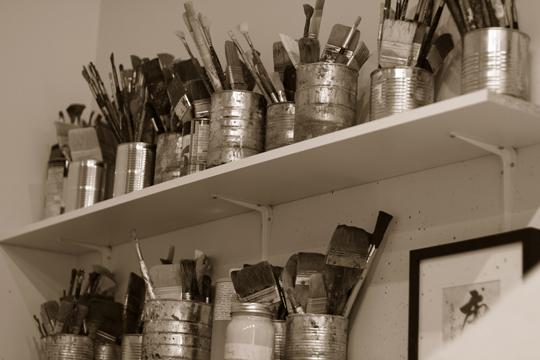 R & F Handmade Paints also regularly offers workshops throughout the United-States. 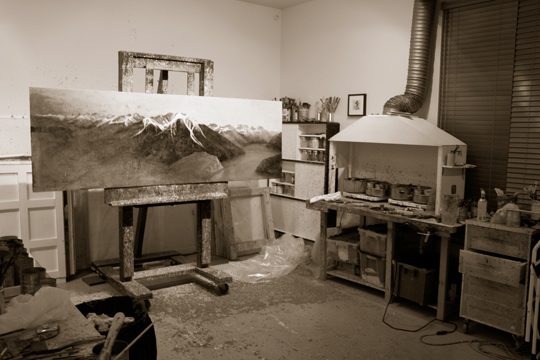 They are based in Kingston, New York, where they have a Gallery and a great workshop class. They offer classes for all levels.